When Dale and Beth Destache’s daughter Erica was diagnosed with myotonic muscular dystrophy at age 14, their first instinct wasn’t to turn inward but to reach out. They decided early on to do everything in their power to find a cure, and they asked everyone in their community to help out. They not only successfully raised more than $20,000, they also helped raise their daughter’s confidence in the face of her new reality. Hailing from Waukesha, Wisconsin, Erica displayed muscle weakness from an early age. Her parents, both teachers, were told she would probably grow out of the muscle weakness when she was about nine years old. She never did. There were other troubling signs, as well. That lead the Destaches to genetic testing for Erica, and they received the results confirming a myotonic muscular dystrophy diagnosis on New Year’s Eve, 2015. It was a long road. In fact, the family had given up their diagnostic quest when Erica was about 8 because no one could tell them what was causing her symptoms. In the meantime, Dale says they worked to integrate Erica’s needs and accommodate her struggles. Strangely enough, it was Erica’s orthodontist who suggested the family pursue more testing for Erica, and that’s when they got the diagnosis. Now that they have a name for Erica’s condition, they are facing another unexpected obstacle. Beth explains that “people don’t view [Erica] as having muscular dystrophy” because she is not in a wheelchair. That’s why the Destache family believes education is just as important as raising funds. Erica, her family says, has a kind soul. Erica is an active teenager, and though she has to walk cautiously, she is ambulatory and can ride a horse. Erica loves school, and though the academics can be challenging, her parents work closely with the district to make sure she has the correct individualized education plan. Despite the surprise of Erica’s diagnosis, muscular dystrophy wasn’t a totally foreign concept to the Destache family. Proving true the adage that it’s really a small world after all, Beth taught Reagan Imhoff, MDA’s former National Ambassador. Reagan lives with spinal muscular atrophy(SMA), and Beth explains the progress on the treatment front for SMA gives her hope. 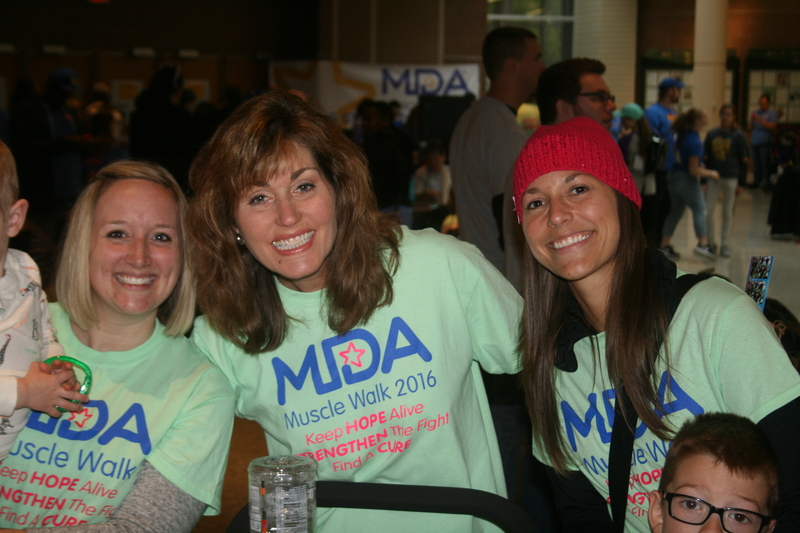 Determined to offer their daughter more options, they began fundraising for Muscle Walk. Their original goal was $225; it was clear early on they were going to do much better than that. “When we sent out our initial email to just our teacher colleagues, we had a huge response in the first week,” Dale says. They credit the quick and loving response to working within a community that values family and understands when other people need help. 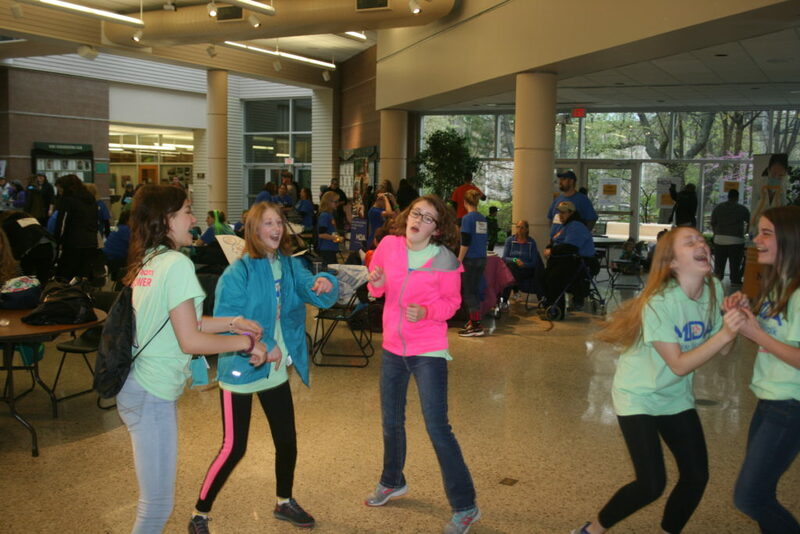 This year, the Destaches hope to exceed the fundraising goal they set last year. Their Muscle Walk took place April 30th, and they are still accepting donations. Help adults and kids like Erica today!